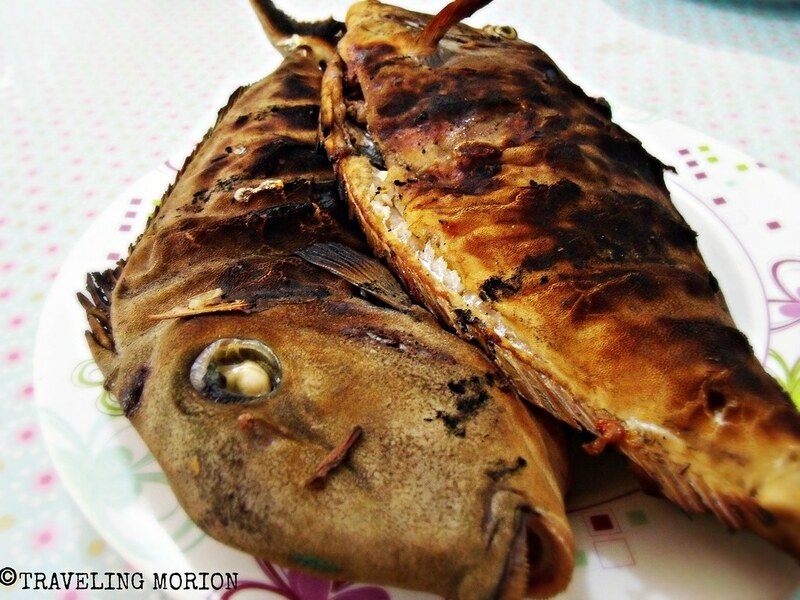 Traveling Morion | Travel + Photography: Travel Diaries| Enchanting Sohoton!
" No exact words can describe the beauty of Sohoton, the closest adjective I can use that fits to its charm is enchanting..."
This one whole day Bucas Grande/Sohoton National Park eskapo was planned a month ago by workmates and friends from Siargao. Yep, April 9 was declared as National Holiday -that means "no work" / long weekend/ backpack mode (for me). Due to unexpected delays, we failed to catch the earliest trip of a commuter boat from Dapa Port to Socorro- we had no choice but to hire a boat going to Socorro. Fare in a commuter boat is P100.00 only per passenger which means we might pay double or triple of the standard rate - pero sabi nga, walang makakapigil, tuloy ang Sohoton! We're 15 in the group and use our individual "karisma" in negotiating the best rate- buti na lang mabait si Manong Bangkero (I forgot to get his contact number and name). The 1-hour trip to Socorro from Siargao is a non-stop "tulala mode" or I should say an hour of non-stop imagining of beautiful Sohoton - as what I've seen in the vibrant photos from travel sites and blogs. Obviously, I am the most excited in this tour/adventure! We just had our lunch in Socorro town proper then back again in the port area to meet Kapitan, the owner of the boat or Lantsa we hired that will take us to Sohoton. 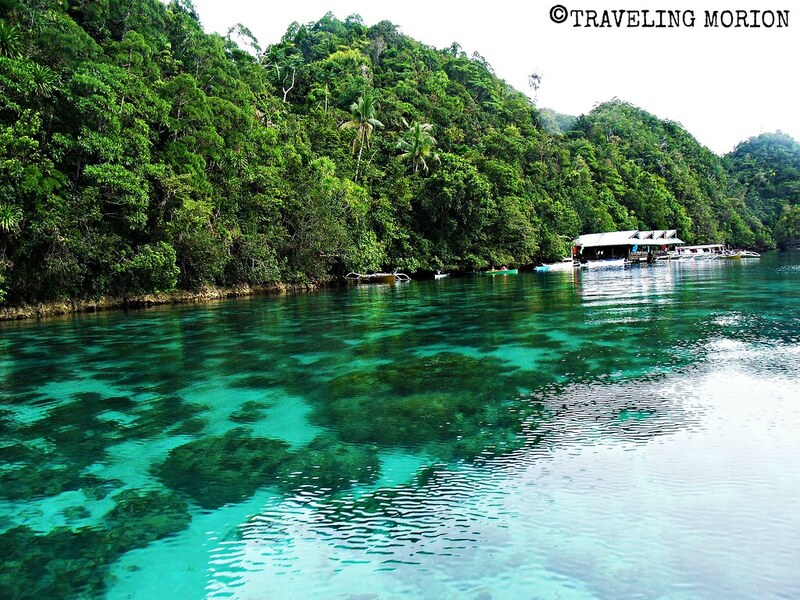 Sohoton National Park is a 45-minute to an hour travel (depending on weather condition) from Socorro Town/Port. After almost an hour boat ride, we reached Bucas Grande’s Sohoton National Park, where the famed Sohoton Cove and Sting-less JellyFish sanctuary are located- actually a lot more. “Ah okay” our common response but still in question “bakit nga ba magsasarado?”. We then transferred to smaller boats which are operated by accredited boatmen/guides. They only allow 6 persons in each boat- 4 passengers/tourist and the 2 guides/boatmen. Take note that your hired boat from Socorro or Hayanggabon (if you're coming directly from Hayanggabon) is not allowed to enter in Sohoton Cove and Jellyfish Sanctuary. There are boats with accredited boatmen/guides waiting in the wharf area just register at the tourist information/reception area. One boat costs P800.00 plus additional environmental fee and the rent for mandatory life jacket and protective hat. Naturally-crafted rock formations are beautiful sightings before we reach the entrance of the main spot. Crystal clear water, beautiful coral formations, and colorful fishes visibly seen below our boat invites me to dive and feel the nature at its finest! Our questions were answered as we enter in the only entrance going to Sohoton Cove- high tide closes the entrance/exit and you have to wait for low tide to get out. It's like being "transported into another dimension or paradise" is what I've felt while inside this enchanting lagoon. 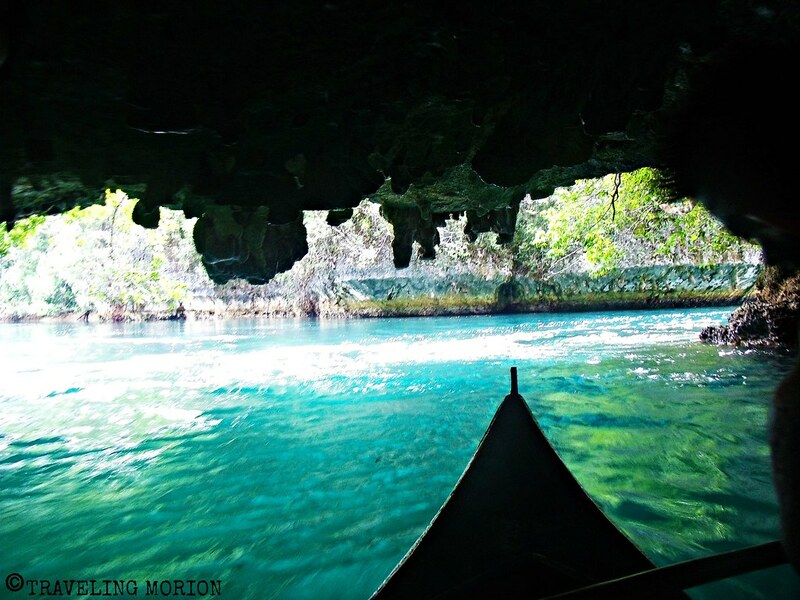 Our first stop inside Sohoton Cove is the Hagukan Cave. The cave is actually an underground river with very cold water. 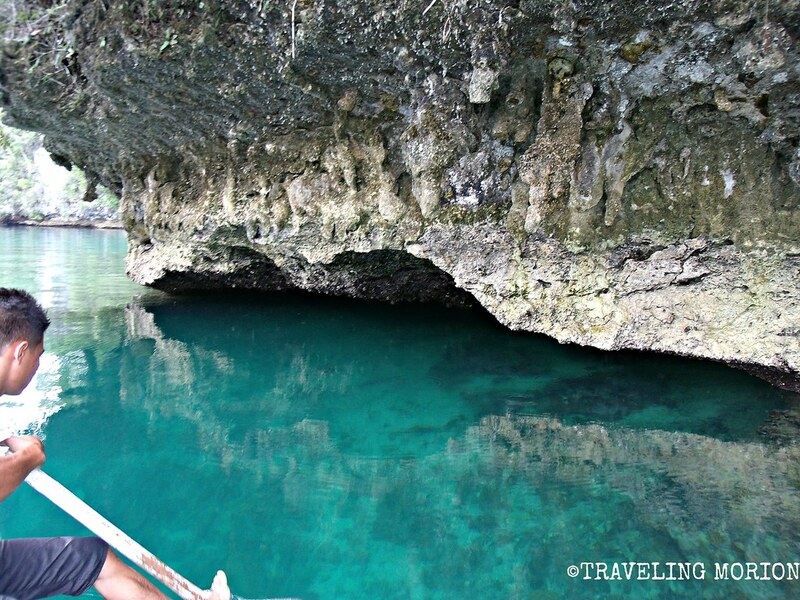 Hagukan comes from the Visayan dialect Haguk which means to snore- as you can here snorkeling sound while inside the cave. The second stop is the Magkuku-ob Cave which is also an underground river. The most exciting part of Magkuku-ob Cave adventure is the trail up to its exit on the top of the small mountain with diving platform at the edge. We then instructed to jump to get back in the boat. Wew! Buti na lang kinaya. After the Sohoton Cove adventure, we then (again) hire another boat (small boat good for 2-3 persons, including the boatman) for 100 pesos per passenger that will take us to another must visit spot in Sohoton, the lagoon famed as "Jellyfish Sanctuary". The sanctuary is 5-10 minute boat ride from the tourist reception and wharf area. My excitement meter keeps on rising as we enter into the sanctuary. We then reached the jellyfish sanctuary. The sanctuary is surrounded by virgin forests and the waters are calm. The feeling is extraordinary- serenity adds magic to this place. I was totally stunned by the magical beauty of the lagoon. The unexplained feeling and astonishment while looking the beautiful coral formations below us, and the never-ending turquoise-clear water - truly enchanting, this part of Sohoton is indeed a paradise! Still amazed by marvelous nature, I didn't notice I was surrounded by hundreds or thousands of sting-less jellyfish. Sad to say my P and S cam's battery turns into 1% . 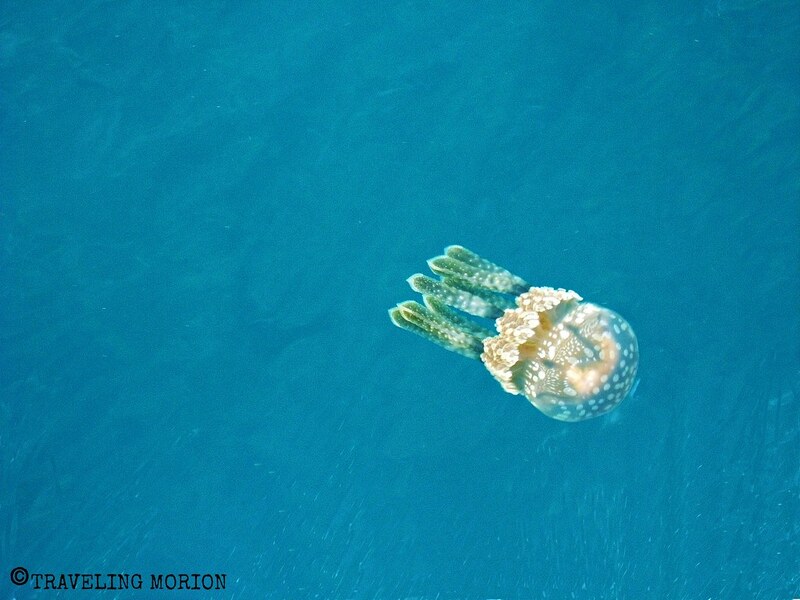 Luckily, I was able to get 1 close shot of Sohoton's sting-less jellyfish. Sohoton National Park is part of Bucas Grande Group of Islands. Municipality of Socorro, Surigao del Norte politically covers, this group of Islands. From Butuan City: At the Butuan City Integrated Transport Terminal, be carried by a bus bound for Surigao City. Inform the driver to drop you in crossing Placer, Surigao del Norte. Fare in an air conditioned bus is around 160 pesos and less than 150 pesos for ordinary. In crossing, there is a terminal for v-hires and multicabs bound to Claver-Hayanggabon- fare is less than 50 pesos or wait for vans or buses bound for Tandag City. Tell the driver/conductor to drop you in Eskina Hayanggabon Port. From Dapa Port: At Dapa Port, there is a commuter boat going to Socorro Port (100 pesos) then hire a boat from Port of Socorro to Bucas Grande (2000-3000). There are also boats for hire from Dapa Port directly going to Sohoton - from 3500 to 4000 pesos (back and forth). ***If you want to hire a boat (can accommodate up to 30 passengers), you can contact the owner of the boat we hired @ mobile number: 09094222789. We call him Kapitan - I forgot his full name but he is the Barangay Captain of one of the Barangays in the Municipality of Socorro. It is indeed an Enchanting place. Wonderful Photos! Incredible photos and looks like a nice place to visit. Will share this. I love to travel and explore some exotic places that has never been exploited by tourists. Your site has given me wonderful ideas on my next destinations and see this amazing places up close and personal. @Pinoy_oman- Let's Go! 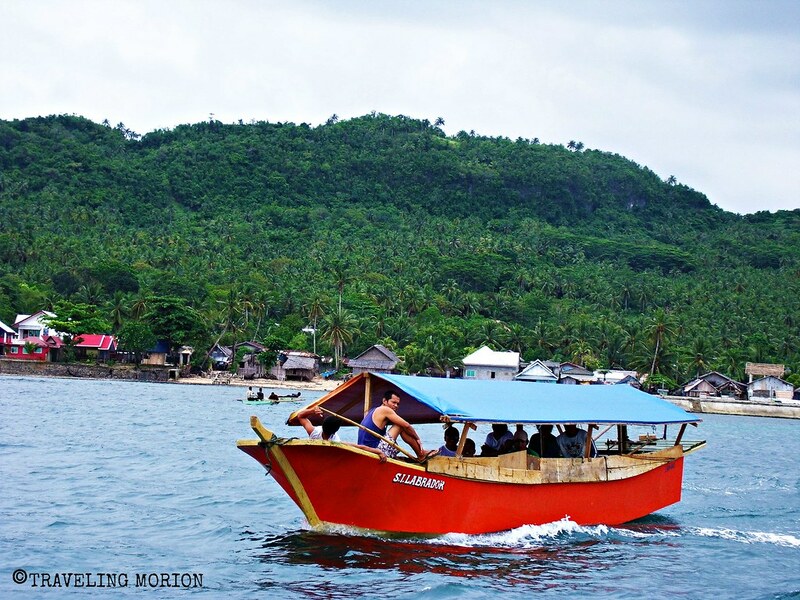 Let's #explore7107islands and know why it more fun in the Philippines! The place is looking awesome in the photos. Thanks for sharing it with us. Siargao is really a good place to visit. The place is so virgin. Almost like Palawan. 2500 ba talaga rental ng boat from Socorro to Bucas Grande? Nabasa ko kasi sa ibang blog 1500 lang. Tapos yung kay Marcos nakuha nya ng 1200 bale for half day lang. Socorro yung pinili kong jump off point kasi nga mas mura compared kung galing sa Dapa or Hayanggabon Port. Gusto ko pumunta jan kaso wala nman akong kasama, may i know how much ang budget pag pupunta jan? Beautiful! This place is heavenly. I agree..very enchanting place to describe it. You took great pictures capturing the beauty of the place that makes it more inviting. I hope this will be preserved forever. Thanks for sharing. What a beautiful place!! I wish I could spend a few days in this paradise. There are so many places in our country that I have not been to and it's my dream to set foot in many of them. I have to say you take such gorgeous shots!! I love them all! The crystal clear water would really help you appreciate the beauty of the corals and species in the body of water. My mom is from Siargao, and I've only been there twice. Ang ganda ng pictures! I've never even heard of this place. For sure, I'll include it in my must-see places here in the Philippines! I've seen posts about Sohoton in Siargao quite a few times already and I still think its beautiful every single time. You've the one to be envied!!!! I'd love to go there too!!! and see the enchanting place with my own eyes!!! i won't get tired even if i stare at this marvelous sight all day. the crystal clear water is very inviting. thanks. Yahweh bless. I was mesmerized with the crystal clear water... It is such a beautiful place that I wish to visit soon. Great place to visit and great photos to do justice of the place. Love the shots and the clear water as well.! I wonder how the jelly fish sanctuary looks like at night given that you can see the jellyfish in the surface. What makes this place enchanting is the clear water. I don't need to dive to see what's below the sea. Amazing!!! The jelly fish shot looks so alive maybe because the waters are so clear which made the image visible. 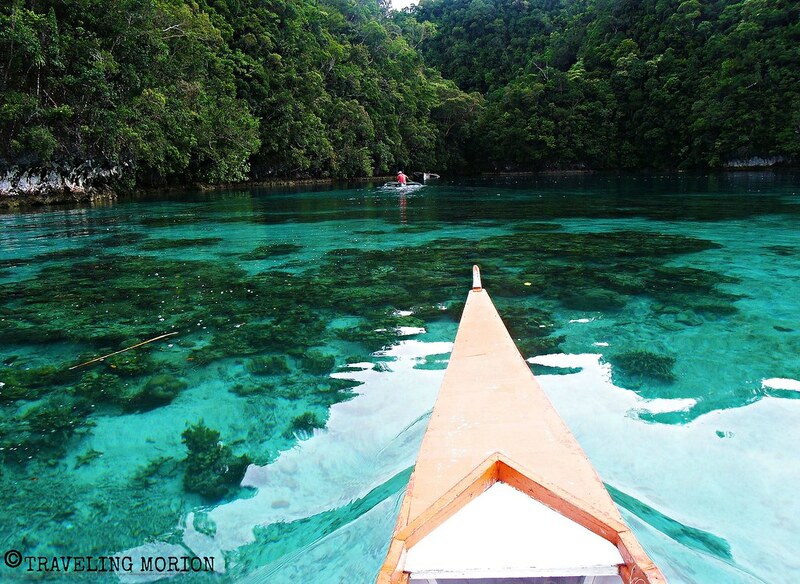 Sohoton is indeed a hidden gem -- one that actually requires patience too when setting out to. I mean, I would've been as excited you were given the beauty that surrounded me. ;) Anyway, when you said sting-less jellyfish, they aren't deadly? Wow! a very serene place to be. I love the pristine blue waters. How is it-- I mean the sting-less jellies. Hindi ba talaga makati kung maka-interact mo sila? This looks like a truly unbelievable place. The Philippines never ceases to amaze me! I'm sure I could spend a lifetime exploring and discovering the amazing beauty there! those photos are simply amazingly gorgous and clear its like the james bond island we've been to before that they have lots of caves to go to. I should plan more seriously to get in this place one time in my life since it is very far from where i live but totally is worth it! What really makes this place an enchanting one is how you capture its beauty. The crystal clearness of the water and the lush green environment are amazing! nangangati na naman ako umalis.. hahaha! looking at that crystal clear water, seeing the corals below..
pwedeng languyin nalang papuntang entrance.. hahaha! What a very majestic place! Love everything about it! Siargao is truly a paradise! That water is a gorgeous colour! Felt the same way when I visited last year. There were only a few jellyfish when I visited though and my underwater cam malfunctioned as well. Great photos! :) Ang ganda talaga ng tubig. Makes you just want to jump in. Wow ang ganda! - can't wait to visit Siargao. Sulit talaga Jeff pag sohoton. Lalong lalo na ang encounter natin sa mga Jellyfish. :-). Buti na lang at may isang shot pa sa jellyfish. Im from surigao del norte and yes there are lots of beautiful places in this region. Just want to share you some interesting facts about surigao. A large or perhaps the largest deposit of Deuterium can be found here and if developed and used by our country for sure it will make us one of the richest country in the world. There are many minings in surigao I even heard them say that nickels largest mining can be found here, there are also other minerals and golds all over the places HOWEVER most of it are owned by foreigners. Philippine trench, worlds second deepest sea is also in surigao deep. 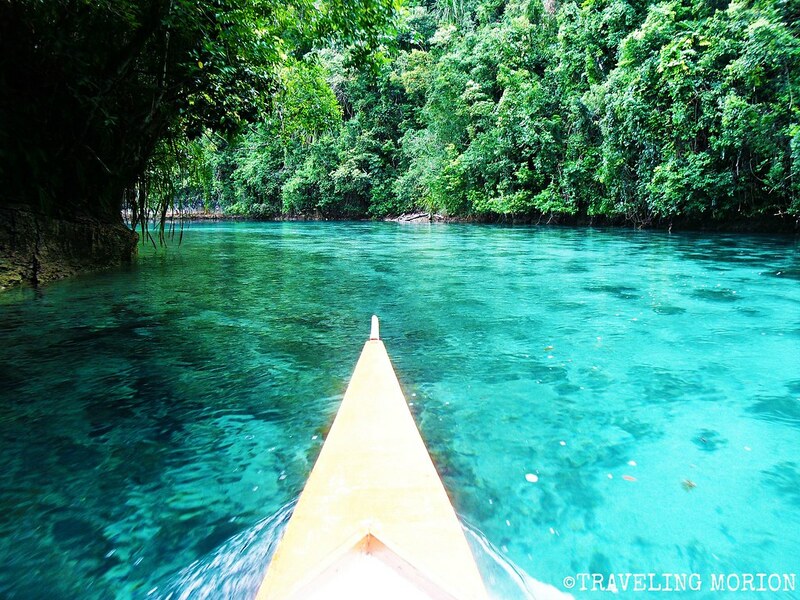 Surigao is called the place of island adventures because of its undiscovered natural beauty. The fact that it has retain its peace even if its part of mindanao(cause others thought that mindanao is a dangerous place). Must see places in surigao apart from socoro and siargao is dinagat islands. It can be compared to a big natural aquarium and yes its an earthly paradise. U can found many islets on dinagat each with its own beauty and you can even hop to different islets by just swimming hehe.. u can also visit the foot bridge in Cantiasay just about 40 minutes away from the city. Surigaos mainland has also something to be proud of . For just 15 minutes away from the city u can enjoy swimming in the beautiful mabua beach( recommend u go to the hill going to Looc where u can find stairs and a beautiful overlooking view of the whole beach). U should also pay visit to the municipality of bacuag and ask the local people how to go to this so called little baguio place. Little baguio cause its an elevated place on the top of the mountains which makes it weather chilly. Its a place where some of mamanwa or kongking people live( natives in surigao). Best thing u can find there are the rivers and series of waterfalls with many pool like formations. Its also like an enchanted paradise where encantada and encantado lives. been to Dinagat Province. Yes, the whole island-province is a paradise and I'm pretty sure that it will soon hit a BIG mark in Philippine tourism. I think I already passed by the town of Bacuag but it's my first time to hear about "little Baguio". Thanks for the info. I am going to include the spot in my list and will post it here. Hope to meet you here in Surigao bro! Hello there! been planning to visit Siargao and Surigao in the coming months, just want to ask if Stingless jellyfish are present during feb-april... and may i know the number ng kakilala mo na boatmen. thanks po! ***If you want to hire a boat (can accommodate up to 30 passengers), you can contact the owner of the boat we hired @ mobile number: 09094222789. We call him Kapitan - I forgot his full name but he is the Barangay Captain of one of the Barangays in Municipality of Socorro. Your blog is really great. My family is planning to go there within the next two weeks. Who should we coordinate with to make this possible? Thank you very much. Hi! I'm planning to visit this enchanted place this coming summer. Coming from Manila, it will be a big task for me to go there (since this will be my first time in Mindanao). Could you please share some estimated break through of all the expenses that I will be facing just to indulge this place? No adventure will be good if I'll be short handed there :) thanks! Hi! we are planning to visit bucas grande on april first week. Ask ko lang po if pwede po ba balikan ang travel from hayanggabon port to bucas grande? 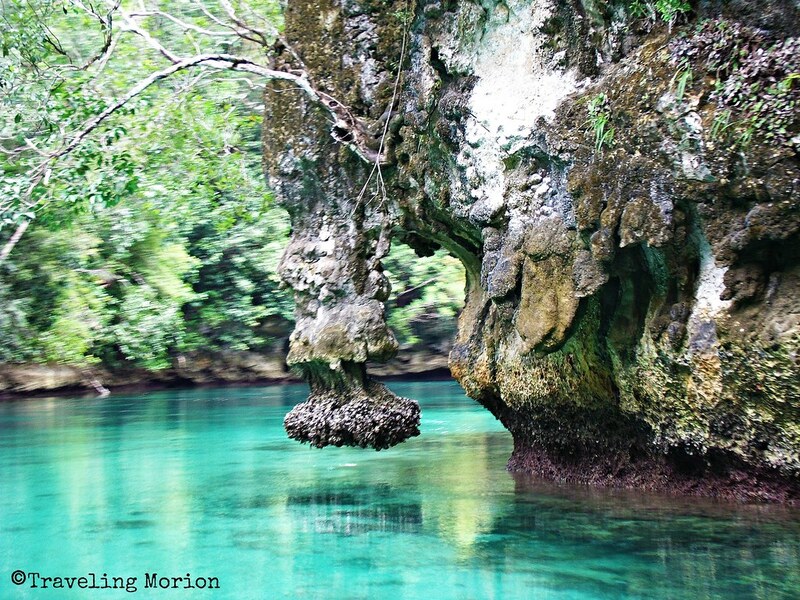 Pwede ba mapuntahan lahat-sohoton cove, bucas grande lagoon at saka yung jelly fish sanctuary ng 1 day lang? If hindi may ma suggest po ba kayong affordable place where we can stay that can accomodate 15 persons. Thanks! Plan po nmin after ng socorro punta kmi ng surigao city pra dun n lng mag overnyt sa port pra early morning makasakay nag roro pa punta nag siargao.. anyway, thanks sa info Traveling Morion! Its a big help.. Godbless and more power! Mas makakatipid kayo sa time, and fare if sa Socorro na kayo sasakay ng lantsa going to Siargao :). May regular trip from Socorro Port to Dapa Port of Siargao early morning and every 1:00 pm taz 150 lang ata fare - more or less 45 minutes to 1 hour travel compared sa babalik pa kayo sa Surigao City- na boat to Hayanggabon 1 hour then another 1 en half hour bus/van travel to Surigao City. Then from Surigao City to Siargao via RORO is more or less 4-hour travel. Hi @Traveling Morion, is there a place we can leave our car at Socorro port? Just to clarify, Socorro Port is in Socorro Town (Bucas Grande Island) . Mahirap maitawid ang car sa Socorro kc puro lantsa byahe dun, meron ata na malaking lantsa na pwedeng isakay ang sasakyan pero costly. Pero kung plan nyo tlaga itawid car nyo from Hayanggabon Port or Surigao Port going to Socorro Port, meron naman safe at malawak na parking space dun. But I don't see the need na itawid nyo car pa Socorro- hindi din magagamit if pla nyo naman ay mag Sohoton. Or (I assume) what do you mean is a place you can leave your car in Hayanggabon Port? Hindi ako sure kung safe iwan sa Hayanggabon Port kasi hindi guarded yung pier better na hanap kayo ng locals dun na may bahay at space for parking at kausapin nyo na lang- very accommodating naman ang mga taga Hayanggabon. Hi! My friends and i were planning to go for a sohoton cove adventure. We're leaving davao by 1am and hopefully get to surigao city proper by 6am. Is it safe to take surigao city-hayanggabon port-socorro route? Would there be a need to contact/reserve a boat in socorro going to sohoton prior to arrival? Or may mga available na mga boat for rent (good for 9 persons) doon upon arrival. Hope you can help us as it is our first time in surigao. Thanks! No need to go to Surigao City. Pwedeng sa Crossing Bad-as na kayo bumaba then sa crossing Bad-as, sakay kayo sa Bus na dadaan na papuntang Tandag- sabihin nyo lang sa driver ibaba kayo sa Hayanggabon Port. Or isa pang option, may van terminal sa crossing Bad-as, sakay kayo ng van at baba sa Hayanggabon Port. From there, better to hire Boat (pero check and negotiate the rate well). Pag hired kc diretso na kayo sa Sohoton from Hayanggabon - no need na dumaan pa ng Socorro. Dadaan lang kayo ng Socorro kung mag passenger boat kayo na 100-150 ata fare then from Socorro Port dun kayo mag hire- konte lang naman difference. Ang maganda pag hired, save sa oras at diretso na at pwedeng balikan na rin sa hapon. Yung passenger boat pati medyo mahirap sa oras kasi walang definite time ang byahe- aalis lang pag na-meet ang bilang ng minimum passengers. I am really tempted to drop my comment. I just want to thank you for featuring our island. This has been one of the many reasons why we have experienced unprecedented increase in the number visits. Thanks once more! Thanks for dropping here Glen! Iba ang ganda ng Sohoton Glen. I know, It will hit its own Big Mark in the Tourism Map! Just visit http://www.sohotoncove.ph for more details. 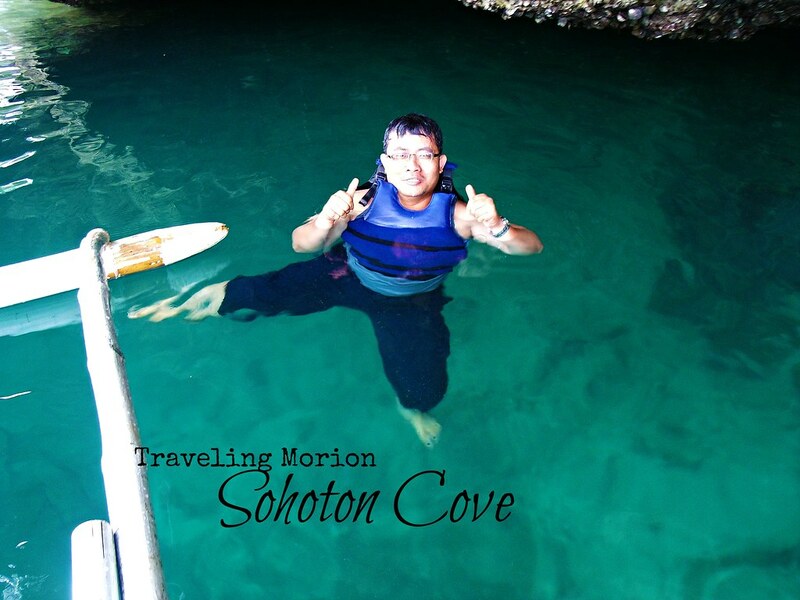 It's the official website of Sohoton Cove. 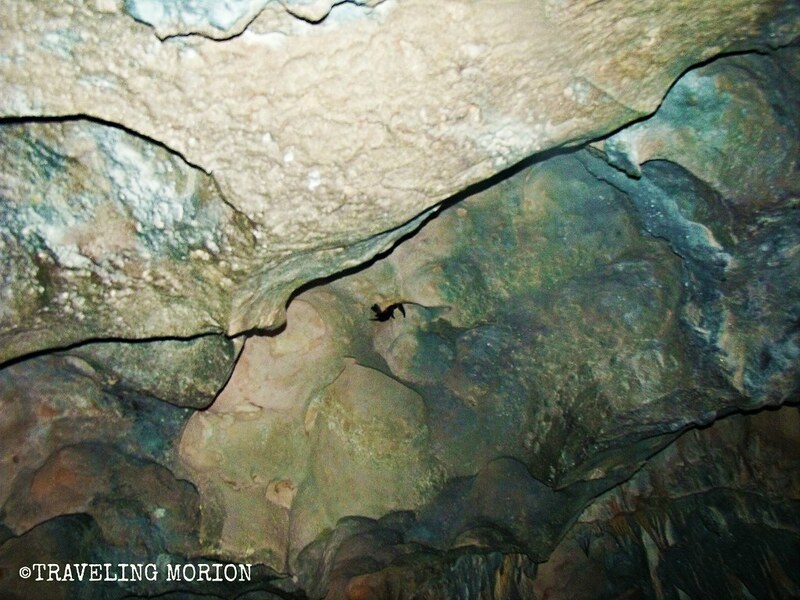 I hope travelingmorion.com will update this post and put the website. Good noon sir/ma'am!ask lang ako kng anung dropping point f via Davao oriental road n ilang estimated hours ang byahe?salamat poh.